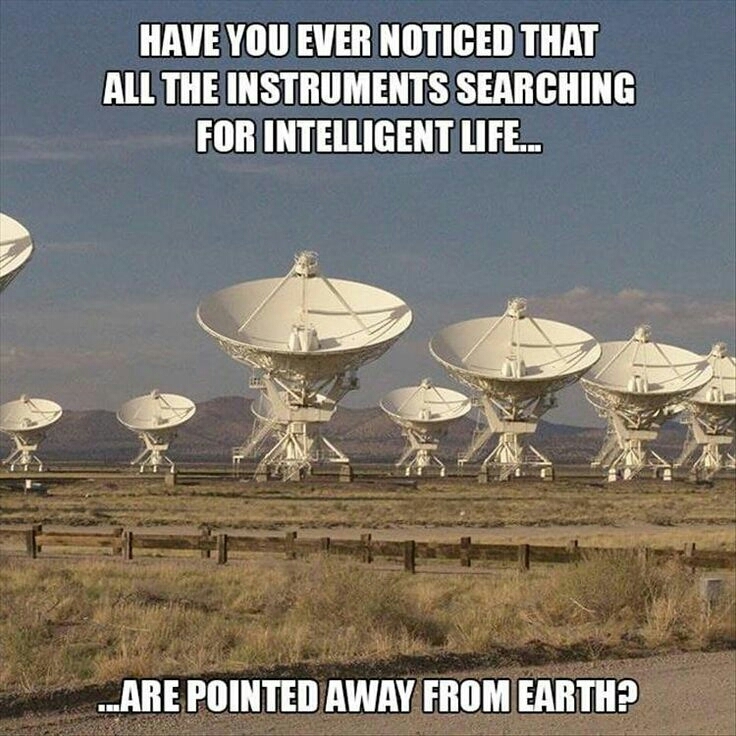 It's because of the "ET" in "SETI". Otherwise it would just be "SI". That is the project looking for Illegal Aliens, Anax. Sometimes you're just a tad too literal. Boiling coffee with a moka. A movie made with neutron images that shows the coffe making process. The movie was made by A. Kaestner, Neutron imaging and activation group, Paul Scherrer Institut, Switzerland. The cold neutron imaging beam line ICON was used. The movie is four times faster than in real time. The Simpsons Hughes did it! Alternative title: the $100 chicken nugget that doesn't quite taste like real chicken. Personally I'm rooting for them to succeed, but they aren't really close yet. Nobody is going to be paying no $100 for one chicken McNugget. Because it would be awesome, what? Think about the applications if they could succeed. Like, if we were to start a colony on Mars. Can we bring farm animals? Probably not. But if we could grow steaks or chicken meat in a lab, we wouldn't need to. Also, we don't have to raise animals just for food. So I hope that this or something like it becomes practical some day. Wonder how it really stacks up against raising animals in terms of environmental impact. Probably best to not ask too many questions. Do you really want to know how the Soylent Green is made? So you really want to eat Belter food? Think about the applications if they could succeed. Like, if we were to start a colony on Mars. Which we won't. But I'm sure chickens would do fine on Mars. And they could probably fly! Cows ... not so much. Would it be ethical to lab-grow "long pig"? I'd gladly donate some cells. Similar to a sub-plot in The Ophiuchi Hotline by John Varley. The babies, born with little to no immune protection, now have fully functional immune systems. Untreated babies with this disorder have to live in completely sterile conditions and tend to die as infants. 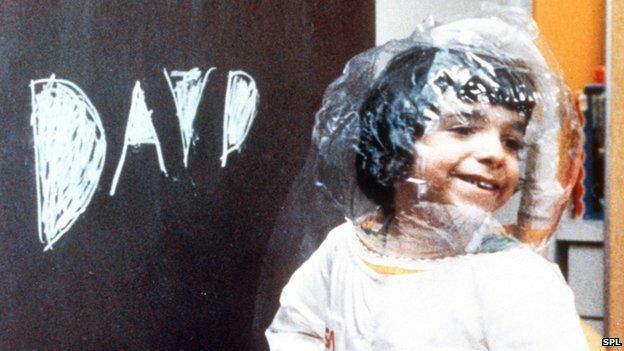 The gene therapy involved collecting the babies' bone marrow and correcting the genetic defect in their DNA soon after their birth. This is an incredible achievement if true. I mean, I'm thinking Nobel Prize here if it pans out. Yeah, but what will you say when they get the autism?